The fall holiday season tends to be a time of year that most people accumulate more items. This makes it the perfect time to evaluate the items you already have! It’s also a very sentimental and emotional time of year for many. I have designed this post to help you see your excess holiday decor for what it is: clutter. Also, I’ve provided for you a step-by-step guide on how to evaluate your items, how to get rid of what you don’t need, and how to utilize and store what you love. *This post may contain affiliate links. At no extra cost to you, I may receive a small commission if you purchase from the links provided. I am going to share 6 steps for decluttering, storing, and utilizing your decor. The idea is to keep the best items and purge the rest. This process may be difficult for some of you, but I believe in you and I know you can come out feeling free on the other side. I will be brutally honest with you but for this to work, you will have to be honest with yourself. You will consider how some items might bring joy to other people’s homes and re-gift or donate some of your decor. This might be a great gift for people who lost many of their possessions in the hurricanes or fires recently. As they rebuild their lives they may be wanting to have some type of normalcy for their kids this Christmas. You can also consider giving old decorations to a senior center, homeless shelter, or other non-profit facility to brighten up their holiday season. Is Your Holiday Decor Out of Hand? When I started working on this post I searched Pinterest for helpful links I could share with you like I always do. I was saddened by how many decor storage posts there are with people having 10-20 (or more) totes of holiday decor they’re storing. How many memories could have been made with the money spent on those decor items? Could the family have had more fun together instead of shopping for holiday decor? How much time is wasted sorting, finding, re-boxing, etc every year that could have been spent being more productive or making more memories? It can easily get out of hand. For example, I once knew a lady who had 7 Christmas trees each with their own theme and set of ornaments. She lived in a small condo that had limited storage. She literally rented a storage unit so she could store her Christmas themed decor for 11 months a year to enjoy it for 1 month. That’s $1200 a year to STORE items for 30 days?!? That doesn’t include the initial cost of the decor either. I know a lot of other things I would rather spend $1200 on each year than buying or storing Christmas decor. This topic hits home for me because growing up my family had too many boxes of Christmas ornaments to count. It always felt a bit overwhelming each year. I remember wondering as a child why we had so many ornaments and only one tree to hang them on. We could only use about a quarter of the ornaments in our home each year. We used our favorites like the Hallmark Crayola Ornament series and some handmade items and passed over many others. I understand not using glass/breakable ornaments with young children in the house but if you have cats or dogs that tend to rummage through the Christmas tree and you’ve spent years avoiding your glass ornaments – it’s time to get rid of them. There is a Christmas movie about an ornament named Noel. Noel has a special Joy to spread each Christmas. As the years past and Noel’s owners grow old he gets put away and forgotten for many years. I remember the story as Noel getting sadder and sadder every Christmas as he and the other ornaments stored with him start to lose their shine and luster. He actually never loses his hope or joy. But this made me sad as a child for all our extra ornaments that sat in boxes year after year. I thought they probably felt like sad and forgotten and that would tug at my heart. The movie has a happy ending but most of my family’s ornaments did not. In fact, nearly every single ornament from my parent’s stash and my grandmother’s stash are still in their boxes and haven’t seen the light of day in about 10 years. I want you to become determined not to buy items that will not be used for their full potential. I realize inanimate objects don’t actually have feelings but if you take the approach of “is this item serving its intended purpose or not” it can help you when trying to declutter your home. Don’t just consider its overall usefulness, consider its usefulness to you. As in, do you actually use it? If not, it’s time to get rid of it! Let it be useful to someone who will actually use it. I also understand the sentiment behind many Christmas (or other holiday) items. Maybe it was your first set of ornaments (I gave mine away because I bought them with an ex) or your child made it when they were 5 (but now they’re 35 and it hasn’t been placed on your tree in 10 years). How precious can an item be to you if you never enjoy it? We’ve all heard the stories of saving something for a special occasion that never comes. Let’s aim to make every holiday special and joyful. I know I’ve mentioned Christmas a lot because that’s the biggest holiday for our family. For others its Halloween, Thanksgiving, Easter, or even Fourth of July. I’m not trying to convince you not to decorate. Of course putting up the tree or having the annual Easter egg hunt is important and creates many amazing family memories. All I’m asking is for you to not let the things become more important than your family or the reason the Holidays even exist in the first place. We have some family friends who have a patriotic themed sitting room. I love the idea! Take your favorite Holiday and enjoy it all year. Put up your American flags and red, white, and blue decor up and keep it up. There’s no need to stop enjoying it just because July 4th has passed (or Memorial Day, or Labor Day). This could work for any holiday if you have a parlor, sitting room, or formal living room to decorate. First of all, it’s time to get honest with yourself and purge your excess holiday decor. What does having all of those items bring you? Frustration? Difficulty? Clutter? They’re supposed to bring you joy. Items are meant to be used, looked at, or loved. They can’t do any of those things sitting in a box. Sentimental, brings you joy, and you use it every year – keep! If it’s sentimental but you NEVER use it – Get rid of it! No longer your style or doesn’t fit your overall home theme or current life but can still achieve its purpose – donate or re-gift! Still functional and can still serve its original purpose but you don’t like it or have a use for it: Re-gift to grown children, a friend you know would love it, or person in need. Broken, damaged, no longer in working order, or otherwise useless – Throw it out! After you’ve given you’ve done the first 3 steps, you actually have to follow through with your decisions! Take the trash box(es) out immediately. No going back for second looks. Move the donation boxes to the trunk of the car and schedule a time within the next week to drop them off to their specified places. Consider donating holiday decor to local nursing homes, hospitals, churches, non-profits, schools, or homeless shelters. Always check with locations in your area before dropping items off. Of course you can always donate to places like Goodwill or Salvation Army as well. Decide who you are going to re-gift items to and sort them accordingly. These need to be gifted during the current holiday season/year. No putting them in boxes and storing for another 5-10 years! Go ahead and wrap them and write names on them. Don’t give yourself a chance to change your mind. You can even mail them this week for early presents. There is no reason to wait for the specific holiday. Let your friend or family member know you were thinking of them any time. I wanted to focus on helping you let go of the excess instead of sharing storage hacks for holiday decor. There are hundreds of blog posts out there on the matter like this one on Smart ways to store holiday decor and this one about decluttering and organizing holiday decor using the KonMari method. But I realized you will probably need a few tips and tricks to help you prevent a recurrence of an overload of holiday decor. You will need to create a system for decor storage that works for you. Storage systems should be created with ease of access, organization, and re-storing in mind. I highly recommend clear storage containers or open storage so you can actually see the items you have. This can help prevent bringing duplicates into the home and also makes it easy to find what you are looking for when the time comes to decorate. I also recommend smaller storage containers. Although I currently use full-sized totes/bins I realize now that they’re hard to maneuver. Some get to heavy or break because they have too much weight stored in them. Determine and set some guidelines on the amount of holiday decor you think is acceptable to keep in your home. Give yourself a limit of how many bins, totes, baskets, or boxes you will keep with holiday decor. I honestly don’t know a realistic number. You might start with reducing the number your started with by a certain amount if you felt you had too many or you could guesstimate how many would be realistic over the next few years. You may have five totes for one holiday and only half a tote full devoted to another holiday. The distribution doesn’t have to be equal. Also consider your current storage space. This may determine how many totes you can keep. Review it and check how many totes will fit, you may find that you cannot have more than 10 total. Also consider if you have existing shelving or if boxes/totes will be stacked. You may want to change your current system if you are stacking 5 boxes on top of one another meaning to get to the bottom box it requires a lot of work! Also, you’ll want sturdy storage containers if you’re stacking them instead of placing them on shelves. How you arrive at your limit will be individual, but you must have a limit! This step is vital because we often buy additional decor items after holidays are over when they go on sale. If you continually bring new items in though you’ll just have more to store and will run out of space. Don’t fall victim to this! If you’re bringing more in; some must go out! Make a plan to review your decor items every year as you decorate and re-ask the questions above to determine if you should keep it or not. Remember, if you replace or get a new turkey platter for thanksgiving, then donate your old one. If you purchase new Halloween door decor this year; consider re-gifting lasts years. No one needs 6 Christmas wreaths when you only have 1 front door! I Heart Organization has a great detailed post on organizing and storing holiday decor. Her post includes a free label printable. You can also easily search pinterest for different ideas like using egg-crates for ornaments and zipper bags for your own handmade storage options. I didn’t include organizing wrapping paper in this post because it’s not just used for holidays. But if you would like advice on organizing and storing your gift wrap supplies check out my post on organizing your home. Declutter Decor Step 6: Decorate! If you don’t have a plan, it will sit in the box for another year without being able to bring anyone joy or serve its purpose. Trust me, my Easter decor never made it out this year. Mark it on your calendar and make a family event out of it. If you notice that you constantly forget to decorate for a certain holiday it may be time to part with those particular decorations. What other holiday decor decluttering, organizing, or storage advice do you have? I would love your feedback in the comments below. Sign-up for my Newsletter to receive more organizing, home decor, and tips for turning your house into the home of your dreams. *This post contains affiliate links. If you purchase from the links provided I’ll earn a small commission at no extra cost to you. When buying or building a dream home you often picture your items throughout the house. What would your couch look like in the living room? Will your bed fit between the windows in the master? You walk through homes decorating them in your minds eye. It’s normal, natural, and fun! But we often don’t think about how we will organize our belongings. Don’t get me wrong, of course you’ll make sure your home has a great walk-in master closet and plenty of storage in the kitchen. But what about your holiday decor or the kids sporting equipment? Where is that going to go? The garage some where of course. Okay, what about gift wrapping supplies? Clothing the oldest has outgrown but the youngest still has a year or two before they’ll fit into them? Your suitcases? Your crafting/sewing/painting supplies? Do these things all have a place as well? They’re about to! There are many, many blogs and books about decluttering and purging items from our homes we don’t need, use, or that don’t bring us joy. I’ve written some myself! If you’re still in that stage of your journey to organize your home then check out my posts on decluttering a garbage bag a week or this list of 12 items to declutter from your dream home. Many people just like you have found them helpful places to start. I’m still not done decluttering my home but I’ve been making some progress! Since we are building our dream home from the ground up I am simultaneously purging junk and designing storage for things I plan to hold on to long term. This got me thinking this week about how I wanted to organize the items we are moving with us to our new home. I knew I was going to have to have a plan or my new house would end up like my current one. Maybe you’re in the same boat as me. You’ve already decluttered, donated, recycled, and thrown out many items but your home still feels cluttered and messy. That’s because having an organized home requires additional steps. You can’t just get rid of things and expect your house to be clutter free! You have to organize the things you’ve decided to keep. The reason every item must have a designated place is because the existence of an item without a home multiplies the chances that your space will become cluttered again. I found that sentence so powerful. Of course my home is always cluttered because I have many items that don’t have a home! For example, I currently have gift wrapping items in 3 different areas of my house: my closet because the extra long rolls of wrapping paper I bought at the end of last year don’t fit in the original tote I bought for storing wrapping paper rolls, in the garage – where the tote resides, and in my “junk room” on a desk because I was too lazy to put the tissue paper I used a couple of months ago back where it belongs! Honestly at this point I don’t even remember the occasion that I got the tissue paper out for in the first place. What I do know is that I obviously need a system for storing gift wrapping supplies. Are you also struggling with storing items rarely used but that you aren’t going to purchase and throw away every season? I’ve come up with a list to work through to find storage and organizing solutions to prevent clutter in my next home. I hope you find these ideas and tips helpful so you can organize your home too! I’ve included decluttering tips along with organizing advice so we can kill two birds with one stone. This isn’t meant to be an extensive list either. I’ll be adding another list of items in our homes that need a place in the future. But this will give you some areas to get started organizing for now and make sure to check out Part 2 of How to Organize Your Home Here. Items that need to be organized in this category: Wrapping paper, gift bags of various sizes, bows, tissue paper, ribbon, boxes of various sizes, scissors, tape, cards, and gift tags. Phew! First of all, pare down your stockpile to the necessities. Toss/recycle any broken or ripped items that are no longer useful or nice. Be honest with yourself – how many rolls of wrapping paper do you NEED. Have you ever noticed how long wrapping paper lasts? Years typically. Some families like to have a different paper for each person at Christmas to easily identify which presents go to whom. Other families just pick what paper has enough of the roll for the size of the present. Decide on the number of rolls you NEED and then donate or give away the rest. I’ve decided 10 rolls of Christmas paper and 5 rolls of non-specific wrapping paper is all my family needs. Then go through the same process for bows, ribbon, tissue paper (tip: stick with just a few basic colors and avoid glitter! ), boxes, and gift tags. Get rid of the extra or out of date items (your kids are not going to turn 1 again…) and then you can organize the rest! Tip: For birthdays, baby showers, graduations, etc purchase wrapping paper that is “non-specific”. Examples below. The idea is that each of these sets contain colors or patterns that could be used for a male or female for nearly any occasion! Including Christmas technically so you could even decrease your entire stockpile to 6 rolls. This will save on the total number of items you need overall and pare down your storage space requirements. I rarely use bows on presents. Most kids aren’t going to notice if you put a pretty ribbon or bow on their gift. It’s more money wasted and more trash created so typically I skip this part. I have a couple of rolls of ribbons and a few bows that came in wrapping paper sets that I’ll be keeping but these items should fit into a tiny storage space. Also, I have quite a few gift bags which our family reuses to save money. I generally toss a couple each year because they get ripped. You can purchase these at the dollar store to save $$$. I should add that tip to my list of 11 ways to save money. One mistake I made with the current way I organize my wrapping supplies is that I really didn’t consider gift bags or boxes which purchasing the tote. I was really only thinking about the wrapping paper itself. If I could do it again I would consider a system that has a little more efficiency for ALL the items that needs to be stored. One of these options would be a great choice, just make sure to measure your wrapping paper rolls before buying! Via Better Homes and Garden – check out more ideas here! Once we have our laundry/utility room designed I’ll definitely share! I can’t wait to organize and create a truly functional space for my family’s needs. It’s going to be epic. At least, it will be to me. Speaking of laundry. We need to organize our clothing too! Specifically clothing that’s not currently being worn. My daughters are 2 years apart. Which means that there is a year between when the oldest outgrows her clothing and the youngest can fit into it. I’m not about to donate and repurchase an entire wardrobe a year later! Most of you aren’t either! So what do you do with those in-between clothing items? I currently have square tote for these items on the upper shelf in my closet. Preferably I’ll have a better system when we move. I do go through their clothes twice per year. Once for spring/summer and once for the cooler months. Things the youngest can’t wear gets donated. But I’m still not in love with this organizing system. I got these down a couple of weeks ago and just went to snap a pic! I’ve realized I’ve not been organizing this well. For a better option in my dream home I’ll be purchasing some bins that I can label and place on the shelves in my closet. I’ll organize them so similar items are placed together. For example: 1 bin can hold sweatshirts, 1 bin can hold dressy sweaters, 1 bin can hold warm weather sleepwear, and 1 bin can hold long-sleeve t-shirts. Then I can pull down just the bin I need at the time. Not only is this more efficiently organized, it’s also safer than me standing on a chair pulling a 30 pound tote off the top shelf! Wellesley and King has a great post about this organizing system. Every closet in our dream home will have this option for off-season clothing storage! I might also implement it for the in-between clothing sizes for the kids. Click here for a cute DIY tutorial on these dollar store bins from Lemons, Lavender, and Laundry! I realize I just talked about storing off-season clothing. How on earth could coats deserve their own category? Be honest, do you pack up and store your coats every year or do they sit in your coat closet all year long? The thing with coats is, some of them get worn nearly every day or at least several days per week during the winter while others tend to just hang out in the back of the coat closet for special occasions. Make sure to be honest with yourself on what coats you wear regularly. If you haven’t worn a coat in the past couple of years it’s probably time to get rid of it. Coats and jackets that are worn consistently can be stored in the mudroom. Check out The Ultimate Guide to Creating a Mudroom here. But what about the ski coat you bring out every year for your annual ski trip and then never wear again? Or the special rain gear that only gets used in emergencies? Hunting and camping gear is another example. These items aren’t used regularly but they still need a place to be stored for the few times each year they’re used. Designate a pace in your home for them. We are planning on adding a small coat closet in our laundry room or incorporating it into our mudroom for these types of items. It doesn’t need to be a large space but they do need a place to go. We can also clear out the mudroom clutter during the summer time by having a place to store and organize coats and jackets during the off season. Want to know what takes me weeks to complete? Unpacking after going on a trip! I know I’m not the only one. We travel pretty regularly since our family lives out of state and we also have a 5th wheel. We have 2 large suitcases, 2 carry on suitcases, and several duffel bags, backpacks, and other bags of various sizes and purposes. I used to store the smaller bags inside the large bags to save space. However, this is really annoying when we use our smaller bags 3 times as often as we use the large suitcases but I still have to pull the entire set out to find the bags I need. For the large suitcases and large camping gear some type of garage storage would work just fine (watch out for pests). Via Zillow. See the suitcases on the top right. But for small bags this type of organization system would be extremely inconvenient. Meaning they would probably sit on the floor of the closet even longer! Use space wisely. Most guest room closets would make a good option for storing extra luggage or even the floor of your own closet depending on the size. Some people opt to hang luggage or store on shelving. Here is a great post from The Sunny Side Up Blog on organizing a luggage closet. Here is another good post of 7 ways to organize luggage on Make Space. Check out these ideas below for finding a place to organize your luggage. You will need a basket or shelf to organize the smaller toiletry bags as well. One hack I have implemented is I now store my small travel bottles inside my toiletry bag so I don’t have to search for them when it’s time to pack. I know exactly where they are and just refill them before the next trip. This will help you stay organized and prevent stress when you’re packing for your next trip! Also, if you haven’t decluttered these items yet – do a thorough assessment before storing. Are any of the bags ripped? Missing a zipper? Are the straps frayed or broken? if it’s not repairable the toss it. Only keep items in this category that are useful. You need cleaning supplies. You also need a place to organize and store them. Often you need several places! Most people have brooms and vacuums that will go in a larger pantry area with other large, bulky, or other general cleaning supplies. Under the kitchen sink typically there are additional cleaning supplies needing to be organized. Somewhere in the bathroom there is usually toilet bowl cleaner and a plunger. It doesn’t make sense to store all of these items together and then carry the items to the specific room you’ll be cleaning that day. You need easily accessible and easily re-organized cleaning supplies. Let’s start with the main storage area and work our way through the home. Below are two great posts on creating a main cleaning supply area. Using their tips you can organize your large and small cleaning supplies in a neat and accessible system. I particularly like how School of Decorating incorporated plastic bins to carry cleaning supplies to different areas of the home and The 36th Avenue’s tip on storing paper towel rolls for easy access. Although you could create a kitchen sink bin to carry, its much more likely that you will store kitchen cleaning supplies in the actual kitchen. Here are some ideas to organize the area under the kitchen sink. Bathrooms are another area in our house that we often store cleaning supplies. Typically just a few items are needed but we don’t want to forget them as we organize our home. Morganize with Me has a How-to Create a Cleaning Kit Post. This kit would easily fit under a bathroom sink! The Kim Six Fix has a great DIY tutorial on this under sink storage system with pull out baskets. I know there are more items in my home that need a place. In fact, I’ve already been brainstorming my next post on this home organization topic. I would love to hear from you what areas in your home always seem to be cluttered and what items you are struggling to find a home for within your home. I’ll do my best to help you find more solutions in my next post! Please leave your top clutter areas and top clutter items in the comments section. I’ll send you even more home design, home organization, and dream home tips straight to your inbox; all you have to do is sign up for my newsletter below. Thanks for visiting. This post was so popular I created part two; check out How to Organize Your Home: A Place for Every Item Part 2. Also, I have an entire post for organizing holiday decor so check that one out too! Americans have too much stuff. The LA Times reported the average American household has 300,000 items in it! This post from Becoming Minimalist has some other eye-opening clutter statistics. If you are anything like me, you would rather spend your free time doing things you enjoy rather than organizing and decluttering your home. I decided to challenge myself to eliminating clutter. We are building our dream home and I don’t want to take things with me that won’t add to our dream. I’ve started a list of items to purge before we move that you might find helpful as well. To get started with a decluttering project it can help to have a goal. Feel free to edit your goal as needed. *Post contains some affiliate links. If you purchase off the links I’ll make a small commission at no extra charge to you. The challenge literally consisted of 1 rule: Purge one 13 gallon trash sack worth of items each week. I’ve written this post over the past 8 weeks as I went through this project. I wanted to track progress as I went. My hope is that you will find items to declutter in your own house by using my examples. Please leave a comment with items you were able to declutter at the bottom of this post. Best wishes on your decluttering journey. I’ve moved an entire tote full of old magazines 3 times. I finally recycled all of them my first week. I cannot tell you how liberating this was. Silly reasons I was holding on to them: maybe I would finally go through them and use the recipes I marked, I might want to use an article from the nutrition journals, or other ridiculous lies I told myself. I’ve decided I will NOT be ordering any more paper magazine subscriptions in the near future. Are you holding on to old magazines in your house? I filled 2 garbage sacks with trash and recycling just by doing a 30 minute sweep of my house. Items that I said goodbye to: tote full of scraps from a reupholstery project. From last year… Why this wasn’t tossed sooner, don’t ask. Packing materials from a delivery received a while back. Way too many empty toilet rolls to count (note to self: put a trash can in the toilet room!!). Junk mail, magazines, old receipts, empty water bottles. This list continues. Don’t judge. Consider doing a quick sweep of your own house and look for items that belong in the trash. Also found these random items my sister had left behind when she moved (3 months ago). I ended up giving her two of my cookbooks as well. Win! Unexpectedly my husband lost something in the garage so we spent an hour decluttering construction materials. I asked when the last time he used any of the scraps he was holding on to. He said probably never. We filled a trailer bed full of Sheetrock, wood scraps, and even some Styrofoam. I wasn’t expecting this but I’m very happy this is out of the garage. I can actually get to all the shelving now. If most people are honest, there are probably several things in their garages or storage areas that just need to be tossed. Are you holding on to items that you “might use some day”? I recommend purging them. Office supplies were my next items to sort through. I emptied the dresser I’d been storing them inside. What’s that saying about out of sight out of mind? Yeah. Anyway, I tested all the pens and put the usable ones in our office, stuck the outdated stationary (from 2009 when I graduated college…) in the recycle, and threw away the 3 extra remotes we had accumulated. Then organized the random items I came across. After everything was either purged or organized I only had that little pink box left of items without a home or place. P.S. anyone need an almost full box of resume paper? Since I didn’t get rid of any large items in this clean out I also went thru a box of old school projects, work materials, and random paperwork. I filled the bottom half a garbage sack with recyclable papers. Woot woot! Are you keeping excess office supplies, craft materials, or items that you once used but really aren’t useful to you anymore? Closet clean outs are daunting tasks. To make it easier I implement the hanger trick every year. I sell gently used clothing on poshmark (my closet on Poshmark). So far I’ve only made a whopping $80 but I’m optimistic. I reviewed my closet and any of the nice items I haven’t worn in a year (minus my favorite cocktail dresses) got put into my “sell tote”. The hubs took pictures for me and I uploaded pics and specs to the poshmark app. I ended up adding a total of 7 dresses and 2 tops to the mix. I’m giving the items until next Summer. If they haven’t sold by then I’ll be taking them to a resale shop because my “sell tote” won’t be going with me to the new house. Most resale shops donate if your items don’t sell within 6 months so they won’t be coming back home with me. Other clothing that has a lower resale value went into a bag for donations – filled the bottom half of a trash sack. Maybe 1 week I can convince the hubs to clean out his side of the closet. Easy 2 trash bags in there! I also gave a coworker some toddler toys that my girls outgrew. Technically they’ve been in my trunk for a couple months now so I didn’t actually “declutter” them this weekend. But apparently I wasn’t going to remember to stop at goodwill any time soon! It’s still decluttering. Just from my car instead of my house. All in all though with the clothing to donate, the items I’m selling, and the toys gone I am over a full trash sack this week! I forgot to take pictures of the clothing and toys I purged. Whoops. I highly recommended going through your clothing at least once per year if not every season. If you haven’t worn it in the past year it’s probably time to part with it. If you haven’t been weeding out your unused clothing this would make a great first decluttering project. I am a nerd. I do not like getting rid of textbooks. It’s ridiculous. I bought all of my college and grad school texts. I only sold back ones that weren’t relative to my degree. That was a mistake. I realize selling your books back gets you less than what you paid for them. But waiting too long gets you $0. Yes I ran the numbers trying to sell them online. No one wants 15+ year old texts. I gathered 6 textbooks I’m ready to part with. I haven’t opened them in… 5 years? Are you holding on to textbooks or other books you don’t read anymore? What about CDs, DVDs, or other often stored items that are rarely used? I also went through my daughters’ clothing to determine things the littlest has outgrown. I have a friend at work with a daughter 1 year younger so I filled up a grocery sack full of tiny pants and shirts to give to her. Total = half bag books plus a third with kids clothes. Close enough to a full sack! It was past time to clean out the fridge. I filled up our 13 gallon trash can with expired items such as salad dressing and deli meat, a few half empty cartons of soy milk, broth, and the like that had been sitting in there for at least 2 months, leftovers that may or may not have started to grow mold, a yogurt that had fallen behind a shelf and gotten stuck, and few other random items. I also cleared out the pantry. Just a couple of bags of stale chips, some hot-dog buns leftover from our last camping trip 1 month ago, and an empty box of cereal (someone must have been sleepy when they put it back!). No pictures of the trash can. I know you’re disappointed! But I also finally decided to toss our broken laundry hamper. Two of the bars have snapped so I could no longer prop it up. It’s almost the size of a garbage bag itself! I only counted it as half a bag though. When was the last time you cleaned out your fridge and pantry? This week was a hodgepodge week. I got the idea to sort through my summer shoes after reading this awesome list of things to purge in the fall. I have about 8 pair I didn’t wear. Ended up donating 4 of them. The others are more special occasion wear/heels that I won’t wear for work but do wear for weddings or other special events. I also decided to sort through my plastic containers in the kitchen. I’ve got way more lids than I do containers. I’m giving myself a week to find the missing parts and then the rest will get tossed. These are often used as snack containers for my kids and they’ll wander off with the “bowl” part and leave the lid. I also found 4 more clothing items to sell (2 dresses and 2 shirts) as I was removing my summer clothes from the closet and adding the fall/winter clothes. I also realized I was pretty happy with my winter wardrobe. It all fits in 1 tote! I’ve really paired it down over the last 4 years of living in Arizona. Due to having family who lives out of state and enjoying camping in northern Arizona I can’t have zero winter clothing. But I definitely didn’t need as much as I had 4 years ago (2-3 totes worth). If you live in a particular climate, consider only keeping the basics for other climates. Hopefully some of these random items sparked action in your decluttering journey. I’m sure there are many other items that I need to purge. Decluttering is definitely a process. But getting rid of a lot of easy items first has motivated me to continue the journey and hopefully a year from now when we move into our dream home I won’t have anything left that I don’t want to take with me. If you would like to learn more about our dream home journey check out this post on our first set of revisions. 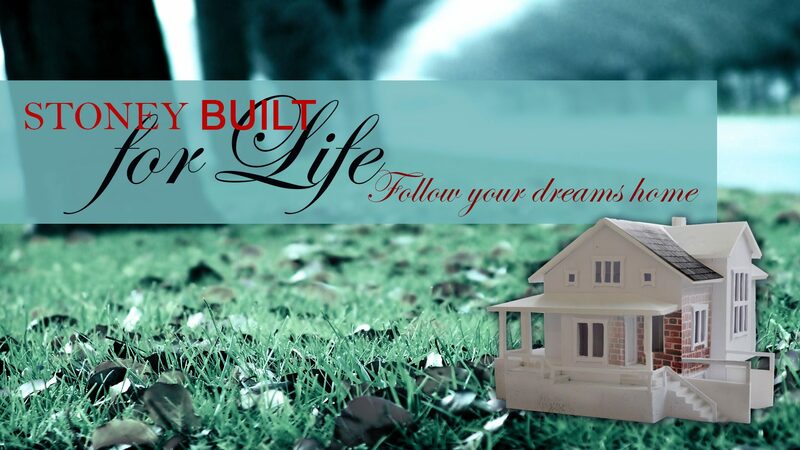 Considering buying or building your own dream home? Here are some questions to ask yourself first! 8 weeks and over 8 trash sacks full of items to either sell, donate, recycle, or trash! The challenge was a success! Now that I’ve sorted through a lot of larger items and random items the next project will be focused on decluttering smaller areas in the house. We have a couple of bookcases to tackle and the kids toys need a good sorting. Of course I’ll share the outcome of that challenge as well. What items were you able to declutter or what are you planning to declutter during your garbage bag challenge? Mudrooms are all the rage! And why shouldn’t they be? We love adorable ways to organize and declutter our homes! Every dream home needs a mudroom. Whether you have a large family or a small family, a large space for your mudroom or a small space this is the post for you! *This post contains affiliate links. If you purchase something from a link I’ll get a small commission without any additional charge to you. I have not personally used all of the products in this post. First we will start with the essentials for your mudroom. Even with these essentials the possibilities are endless! You can arrange them in a multitude of ways. Next we will look at how to add a special, personal touch, then I’ll walk you through some special considerations, and finally you can choose the design best for your space. Hooks are great for jackets, beach towels, backpacks, hats, purses, or diaper bags. They are versatile and simple to use for young kids. They can be arranged at multiple heights and offer a quick view of the items you need for the day. You can purchase hooks on a bar, ready to hang. Add some creative hooks like these wooden birds. You can also install your own hooks at your desired spacing with individual hooks. Consider these awesome design ideas below for even more creativity for your mudroom. With the hooks alone there are so many options! No matter how you design it, every mudroom needs a space for shoes! There are a lot of creative options such as shelving of different heights, cubbies, baskets, hooks, and drying mats. Pick the best option for you based off your family’s needs. You might even want more than one option! Some people prefer using baskets to hold shoes. Check out this DIY post from Shanty-2-Chic for this lovely mudroom option and notice the cute baskets! Baskets are perfect for smaller items such as keys and wallets. They can also be used for sport equipment, shoes, or library books that need returning. They come in many shapes and sizes to fit your family’s lifestyle. You might choose multiple sizes or keep them all the same for simplicity’s sake. Now matter what they’ll be used for baskets are a must have for your mudroom. Some items can’t be hung up easily and will need alternative storage space. Typically each person has multiple jackets/coats and those not used for daily wear can be hung in a cabinet. We have a bag we take on long car trips that holds CDs, games, and coloring supplies for the kids that will sit in our future mudroom cabinet. Larger sporting equipment likes baseball bats can fit here as well. You prefer open spaces and visible shelving? That can work in a mudroom too. Making it easy to find what you’re looking for as you usher the kids out the door. Open Shelving: Best for adults who won’t fight over their space! Enough room for 1 or a family of 6. Anyway you please, there must be a seat or a bench in your mudroom. You can use Plain wood or a custom cushion and throw pillows. This is a nice way to put personal flair in your mudroom. You can even use a stand alone chair if your mudroom will be in your entry way. This entry way is adorable! All the essentials are present and the bench doubles as extra storage. Once you’ve determined your needs for the essential items. Next it’s time to consider what personal touches you might add. Get some chalkboard paint. Add painted letters. Decorate with photographs. Or try something else to have a cute and creative way to determine each family member spot. It really makes a mudroom feel homey. Are you thinking farmhouse or modern? Minimalistic or decorative? How will the mudroom compliment the rest of your house? You want to make sure your overall design flows and is consistent. Add a cute sign or a family photo across the top. Consider placing Greenery nearby. It’s a great idea to add a rug or mat so dirt doesn’t get tracked in as well. Mats can be cute and functional for mudroom needs. Have a space to place items that just need to be dropped for the moment. Maybe you’re carrying groceries in and you’re about to drop something or you’ve got a stack of books from the library that need to be dispersed to the kids. A functional place to set items and then organize can be just the thing to complete the perfect mudroom. We all appreciate having one last look before we head out the door. Mirrors can also help make spaces appear bigger. You could add floor length or just head height mirrors to your mudroom. You could add several for a decorative flare of just keep it minimalistic and clean. Having the wall of the mudroom as a design feature can give it an added flare and help separate the mudroom from joint spaces. Ship-lap, chevron, bright paint, or other fun designs can be used on the walls. Decluttering is the first step to an organized home. If you’re feeling a little stuck on decluttering you can signup for the Triple 10 declutter Challenge. To learn more check out the info here. If you’re ready to get started sign-up below! Do you need a place to wash the mud off of Fido? Place for their kennel? Food and water bowls, toys, and leashes need a spot too. Dog owners should keep these in mind when designing their mudroom. What type of space are you working with? Any long hallway in your home could work for this. Especially one that has the kids’ rooms off of it. Most people prefer it to be right inside the door. But you can definitely get creative. This is probably the most common type of mudroom. Have a spare corner that’s just empty space? Why not make it functional with a mini mudroom? Check out these great ideas. Don’t even bring the “mud” into the house. Leave it in the garage where it belongs! These simple garage additions could be the perfect solution if your house is short on space inside. Check out this post for more ideas on garage mudrooms. Mudroom don’t have to be huge to be functional. A single seat and a couple hooks can do the trick! This can work wonders coming in from a garage. You can double your storage space or make one side a “drop zone” for sorting mail, stashing coupons, and organizing your life. You can never have too much storage in the mudroom. Having a door to separate the junk and grime from the rest of the home can help you feel calm and clean. It’s a great way to leave work, school, and the outside world behind you when you get home at the end of the day so you can relax and focus on your family. Source: J.S. Brown & Co.
Drop zones are nearly as useful, if not more somin their own way as a mudroom. Why not combine the two for a 100% functional and organized space. Would you like each of your 6 kids plus you and your spouse to have your own space in the mudroom? You can make that happen. If your needs are smaller there are mudroom options for you as well. This space would work great for 1, 2, or 3 people! I find this mudroom design very clever. It’s a great use of awkward spaces and allows for all the essentials with more storage. Having your mudroom and laundry room all in one can be optimal for organization. Many times the laundry is close to the garage and can make a perfect detour to drop items to keep contained from the rest of the house. This can double the size of your laundry room and really give you space to work. Still need some more ideas for your mudroom? Check out this post from Mom of 6 or this one from the Turquoise Home. Need organization ideas? Check out these posts: Find a place for every item part 1, find a place for every item part 2, organizing holiday decor. Ready to declutter your home but don’t know how to begin? Click here for a 10 day decluttering challenge. Prefer to just purchase a kit for your mudroom? More of a Do-It-Yourself type? Here’s an additional list of 55 more mudroom ideas! Obviously a mudroom is a must have for any dream home. Check out this list of other “Must Haves” so you can design the ultimate dream home. If you’re working on organizing your existing home check out How to Organize Your Home: A Place for Every Item Part 1, Part 2, and Holiday Decor Edition. Can you think of anything else that’s essential for a mudroom? What about other design or decor ideas? Drop them in the comments below. Don’t forget to sign up for our newsletter to get even more fabulous home design ideas delivered to your inbox! Plus, you won’t want to miss the exclusive content and freebies from time to time.